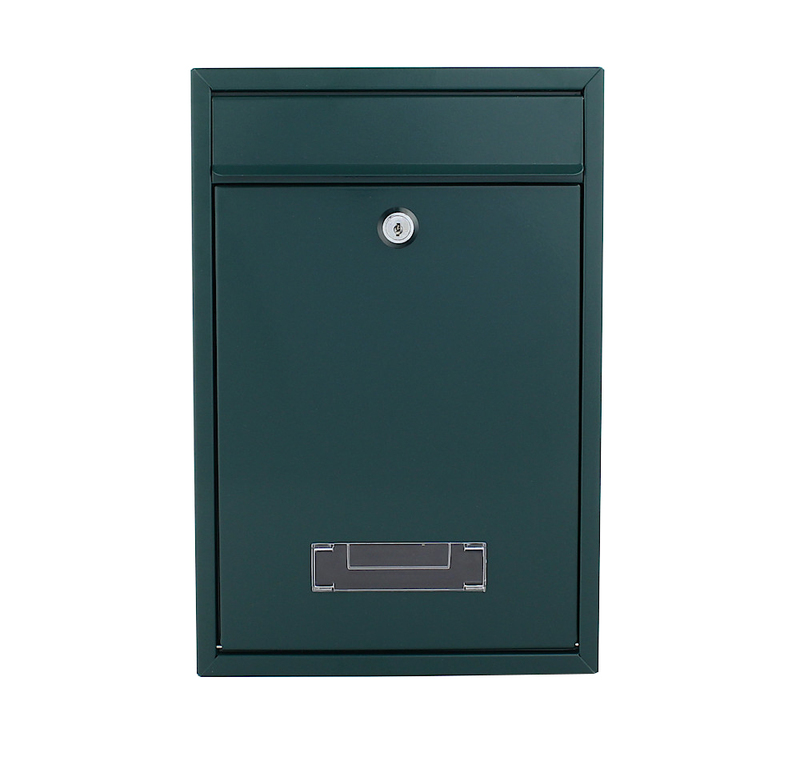 The Pro First 480 Green Mailbox is a timeless elegant piece. It's powder-coated, steel body impresses with its clean lines. With the 480 letterbox range it is possible to mount several mailboxes next to each other. So that you always have an eye on whether mail is inside the mailbox, the door has a window with a name tag holder. The Pro First Mail 480 letterbox is a small mailbox that impresses with its easy installation. The Green Pro First 480 mailbox inspires with it's simple lines and perfect design. This timeless steel mailbox offers a stylish design has a small flap which protects your mail from moisture and dirt. Your own name badge can be simply put in the name tag holder, in the space provided and it is perfectly protected from moisture.